Were the holidays wonderful? We're trying to get back on track. 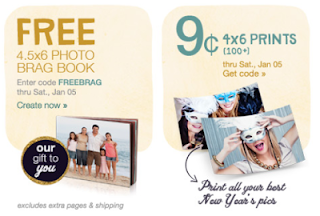 Take all those wonderful photos and put it in a FREE Brag book from Walgreens. Now through January 5 a 4.5x6 Photo book is FREE. Use code FREEBRAG at checkout.